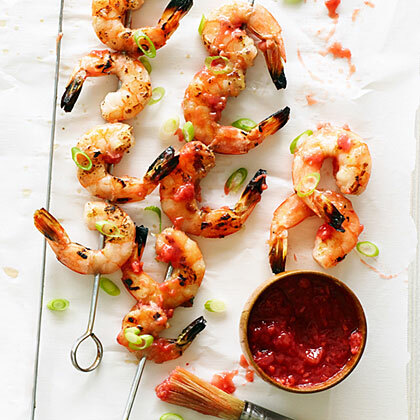 Don't stop with shrimp: This sweet and sour barbecue sauce promises to be a summer staple, since it's great on grilled pork chops and chicken too. Thread shrimp onto 4 metal skewers. Brush both sides of shrimp with glaze from pan. Grill shrimp, turning and basting generously as you go, until they're opaque and grill marks appear, about 8 minutes total.